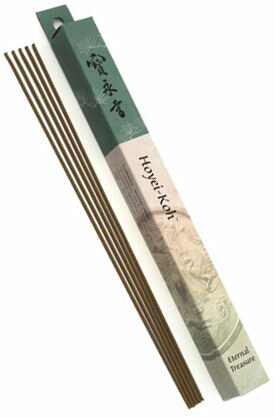 One of Shoyeido's oldest recipes, this fragrance was developed in the spirit of enhancing fortune, abundance and luck. Ingredients: Sandalwood (Santalum), Clove (Syzygium aromaticum), Cinnamon (Cinnamomum) and spices. A very non affronting aroma with a very subtle spiciness to it. The clove and cinnamon notes are apparent but not overwhelming by any means. Its easy to see why Shoyeido continues to make this scent with the timeless nature that it carries, I have never grown tired of it. It has good meditative qualities with a hint of freshness. This scent exudes an alertness without being overly stimulating at the same time. At this price for this kind of quality, it's difficult to go wrong here!